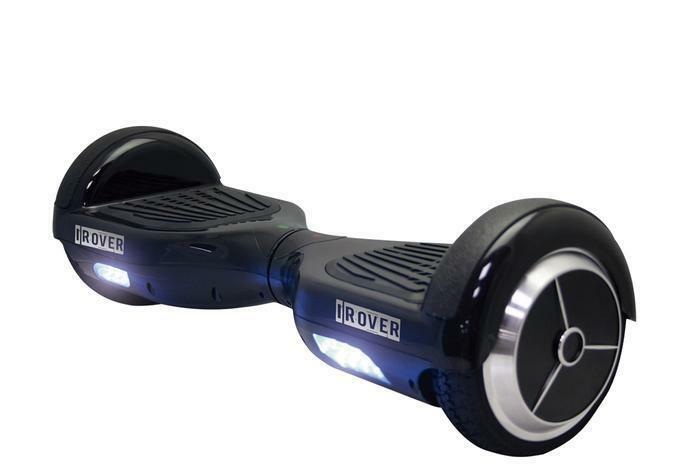 iRover of Fair Lawn, N.J., is recalling about 2,800 self-balancing scooters/hoverboards. The lithium-ion battery packs in the self-balancing scooters/hoverboards can overheat, posing a risk of smoking, catching fire and/or exploding. There have been two reports of the battery packs in the recalled self-balancing scooters/hoverboards smoking and overheating. No injuries or property damage have been reported. This recall involves iRover self-balancing scooters, commonly referred to as hoverboards, model numbers 87645 and 87644. The hoverboards have two wheels at either end of a platform and are powered by lithium-ion battery packs. The boards have “iRover” printed on the front outer casing and come in black and white. The model number is listed on the bottom of the unit. The hoverboards, manufactured in China, were sold at Fallas Stores of Los Angeles, California, and T.J. Maxx and Marshalls stores nationwide from December 2015, through December 2016, for between $300 and $400. Consumers should immediately stop using these recalled scooters/hoverboards and contact iRover for instructions on returning their hoverboard for a free UL2272-certified replacement unit. Consumers may contact iRover toll-free at 888-348-6434 from 9:30 a.m. to 5 p.m. (ET) Monday through Friday or online at www.iroverus.com and click on Recall Notice for more information.